Prices shown are for 7 nights depending on time of year. Prices vary for length of stay (3 and 4 Night stays also available) Prices shown low season are from minimum £440 for 7 Nights, and high season from £670 Minimum for 7 Nights during March to November 2018. Please provide number of guests staying and advise if you intend to bring a dog(s) on your enquiry form. 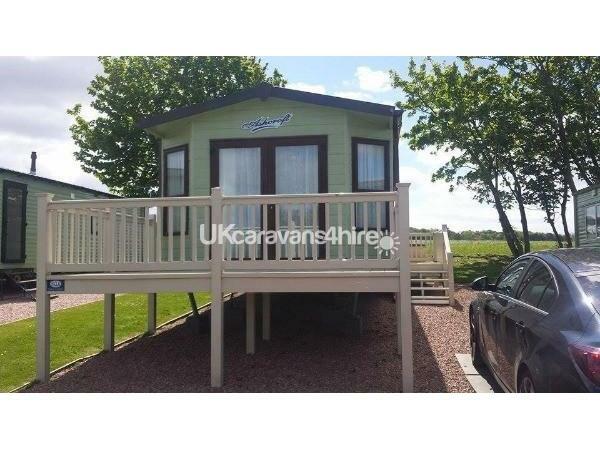 A beautiful caravan situated in St Andrews the perfect location for your holiday. 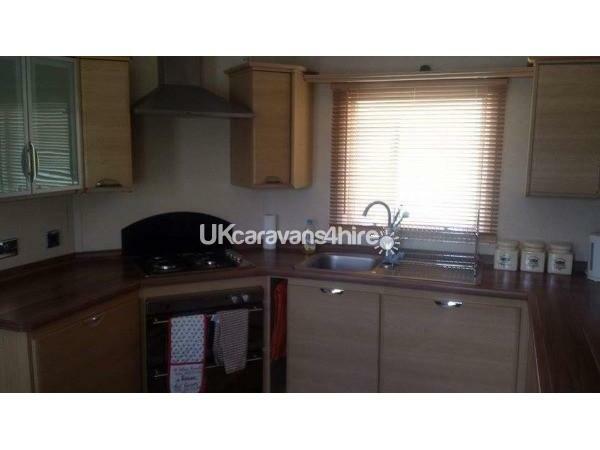 The caravan has central heating and double glazing and a fantastic sea view. 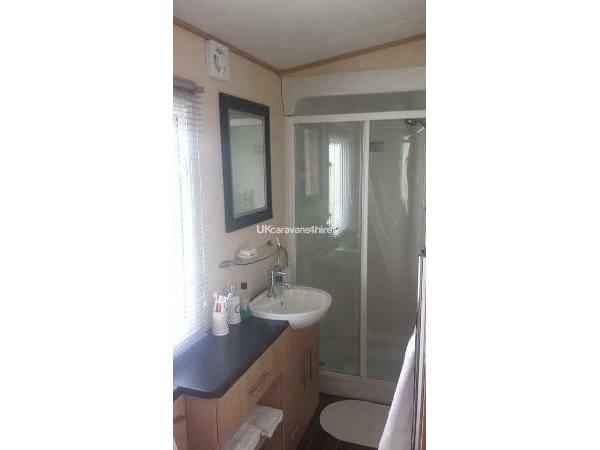 The double bedroom has access to the bathroom housing a walk in shower. 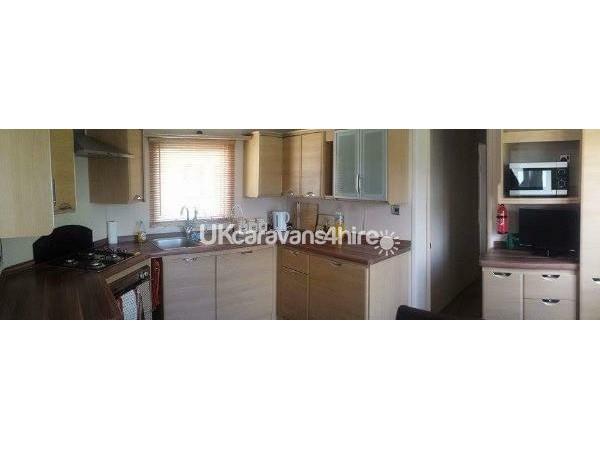 The kitchen has a gas hob and gas oven with extractor fan and is also fitted with smoke alarm and carbon monoxide detector. 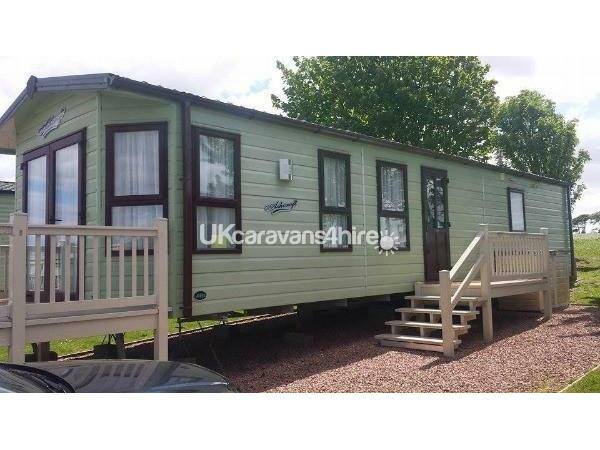 The caravan sleeps six and has a travel cot available. 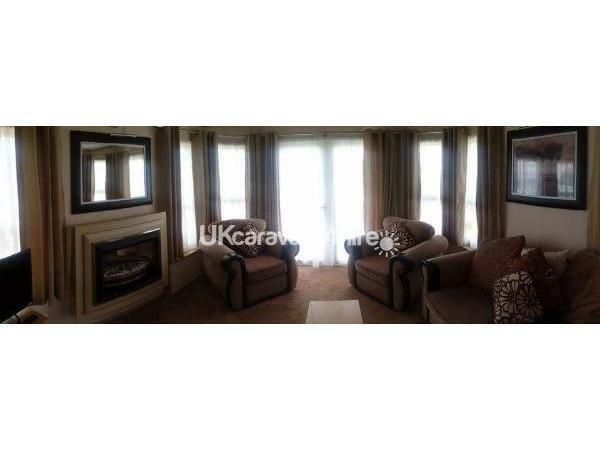 The separate lounge has a three piece suite compromising of two arm chairs and a double sofa bed. 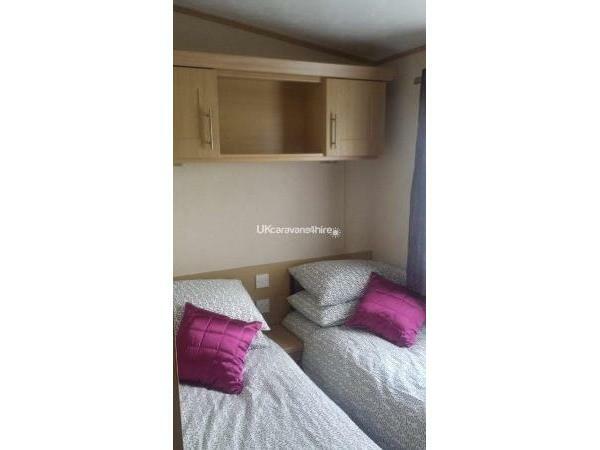 The small bedroom is made up with two single beds. There is a lovely decking with an outstanding view of the beach and St Andrews itself. Outside seating and table are also provided. 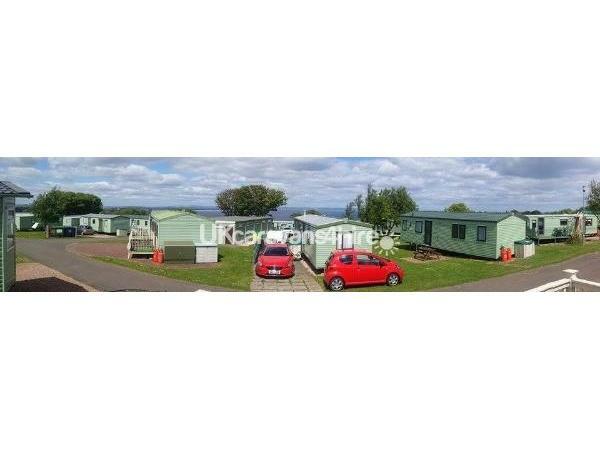 There is parking available for two cars just outside the caravan. 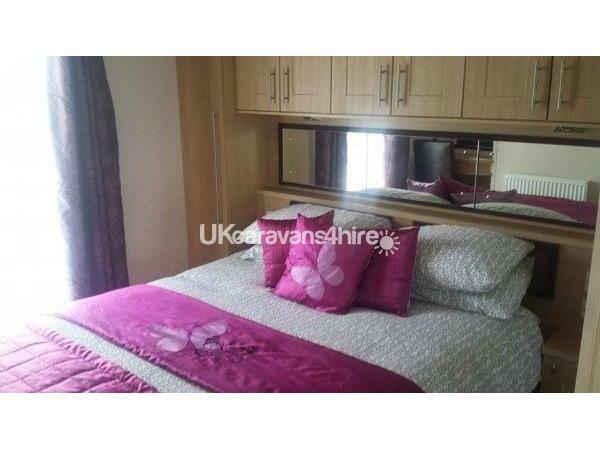 A non returnable deposit of £50 is required on booking and balance paid 2 week prior the the booking time. All clean bed linen will be provided or you can bring your own. Please bring your own towels. Arrival times will be after 2pm and departure by 10am. A high chair is available if required. A selection of DVDs have been provided also. Additional Info: Clubhouse/Restaurant has recently undergone a complete refurbishment which was completed August 2017. One word to sum the caravan & holiday - PERFECT. Our dog loved the field at the back of the van as well as the beaches. Good communication from owners. So good we've booked again for two separate weeks next year.